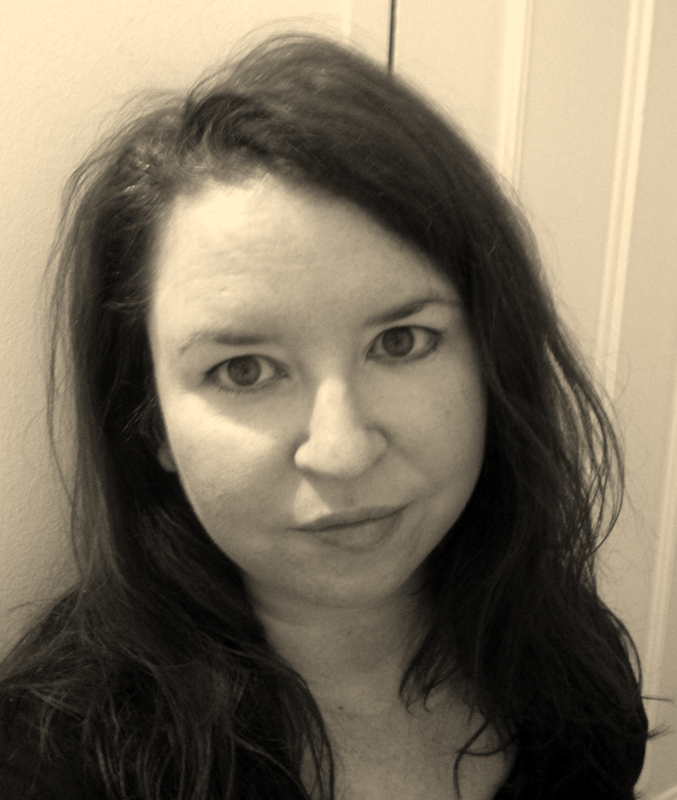 We reviewed Susi Holliday’s Black Wood the other week. Cast your minds back to that, or if you’re the indolent type who can just about be bothered to lift your finger on the mouse, you can alternatively click right here for an instant appraisal of just what we thought. 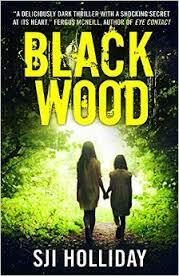 Black Wood is about what happened when Jo and Claire stepped out into the woods one day as kids. Novelists have been telling us this since stories began: don’t, whatever you do, step into the woods. Just don’t. Anyway, the novel picks up a few years later when Jo, now a damaged young woman, is certain she sees one of the people who attacked her and Claire all those years ago. Black Wood is a creepy tale of stalkers and paranoia in a small town in Scotland. Jo is completely messed up. It’s not really her fault, but she doesn’t do herself any favours. She had a strange childhood, and that’s shaped who she is. There were too many traumas for a young girl to grow up and escape unscathed. She’s quite funny though, she’s got a dark witty humour. I think that’s her saving grace, as she does tend to exasperate people close to her. Claire is a bit long-suffering, to be honest. I think she lost her way when she was younger too, but for different reasons. I always wanted her to be braver, but I’m not sure that’s how she turned out. But she is dealing with disabilities, as well as a tenuous bond with Jo, so it’s not easy for her. Where did you get the inspiration for Black Wood? It was a ‘what if..?’ based on a childhood event. There were two girls and two boys in a wood. There was a knife… Technically nothing happened, not physically, at least. But there are mental scars. I was one of those girls, and I never forgot the incident, although later in life I started to think I must’ve imagined it. Memory can play tricks on you, can’t it? What is it about small communities that makes them such fertile territory for crime fiction? It’s the claustrophobia. The feeling that you can’t escape. There are people who live there all their lives, and they choose to shelter themselves from the wider world. There’s an innocence in that, but it is definitely breeding ground for dark secrets. You’ve created quite a community in Banktoun – do you think you will ever revisit it? Definitely. I always had three novels outlined, set in the same place, but with different characters – some would overlap from one to the next. Someone briefly mentioned in Black Wood will become a main character in one of the others. I’m trying to keep track of all the ideas that keep cropping up for their backstories, because I’ve a feeling that I’m going to come up with more and more stories set in the town. A slightly unusual one. I wrote lots of short stories but could never finish a novel. I had too many ideas but I lacked the ability to sustain them to the end. I finally decided to stick with Black Wood, and with help from a writing buddy who told me to keep on with it, I got about halfway through. Then I entered my prologue in a competition and got a runner-up place. I tweeted out my joy… and I got an DM from an agent asking if I could send him my novel. I’d met this agent before, at Harrogate Crime Festival, so I told him where I was… I had 10,000 edited words, and another 30,000 unedited. He asked to see then ten. I sent it on Monday morning and he called me Tuesday lunchtime – he wanted to sign me up before I’d finished. This rarely happens and I couldn’t believe it, but of course I agreed! Then I gave myself a deadline for delivery of the full novel – 6 weeks. Crazy, but I did it. We worked together on a couple of rounds of feedback, then it got sent off to publishers. It took a couple rounds of submissions to publishers, resulting in many beautifully worded and complimentary rejections… and finally, I got ‘The Email’ saying there was an offer. I was ready to give up at that stage and start writing another. I’m so glad I stuck with it – my agent was tenacious, and I love him for that. That it is very, very difficult to write anything else when you are waiting for feedback from publishers. I admire people who submit one book and get on with writing the next. I just couldn’t. I was checking my email constantly, awaiting news. It almost drove me mad, and I’ve learned a lot from that. A proper critique is invaluable. You need it so you can learn and grow as a writer. It’s difficult when you get a lot of feedback from a lot of people and it doesn’t always say the same thing. You have to learn to sort the wheat from the chaff, pull out the things that ring alarm bells. Most of the time, it really helps. When you start to get reviews, it’s like starting that process all over again. The first bad review stings, but then like before, you pull it apart and give merit only to what rings true. You know yourself when something is a valid observation, and something that’s just mean spirited. Stephen King. Because he’s overcome rejection, addiction and a serious accident and he still manages to write. He’s got the natural storytelling ability that draws you in and keeps you there. I like Mark Edwards for exactly the same reason. The storytelling, I mean. I can’t comment on anything else he might share with SK! The other is Mo Hayder. Just dark, dark, dark. She’s had an interesting life too, and that clearly gives fuel to her imagination. I love her Jack Caffery series. I can still remember feeling shell-shocked while reading The Treatment, and Tokyo (renamed The Devil of Nanking) is one of the sickest things I’ve ever read, and also the most fascinating. Enjoy every part of the journey. There’s constant anticipation and many kicks in the teeth when you are unpublished, but when you finally get there, you realise it’s only the beginning. Well I never like to talk about a work in progress, but… I am writing another one set in Banktoun. I can’t tell you when or even if it might be published – but I hope that it will, because I know there are many people who’d like to hear more from Sergeant Davie Gray. Banktoun has many more secrets for him to uncover. This entry was posted in Authors, The Intel Interviews and tagged Black Wood, Harrogate Crime Festival, Jack Caffery, Mark Edwards, Mo Hayder, SJI Holliday, Stephen King, The Devil Of Nanking, Tokyo on April 10, 2015 by Crime Thriller Fella. Gosh, Susi, you really did break all the rules about submission and make it hard for yourself, didn’t you? Lovely to hear that it can work (even though at great cost to your time, health and sanity, I can imagine). I’ve got this one on my tablet and am looking forward to reading it very soon.